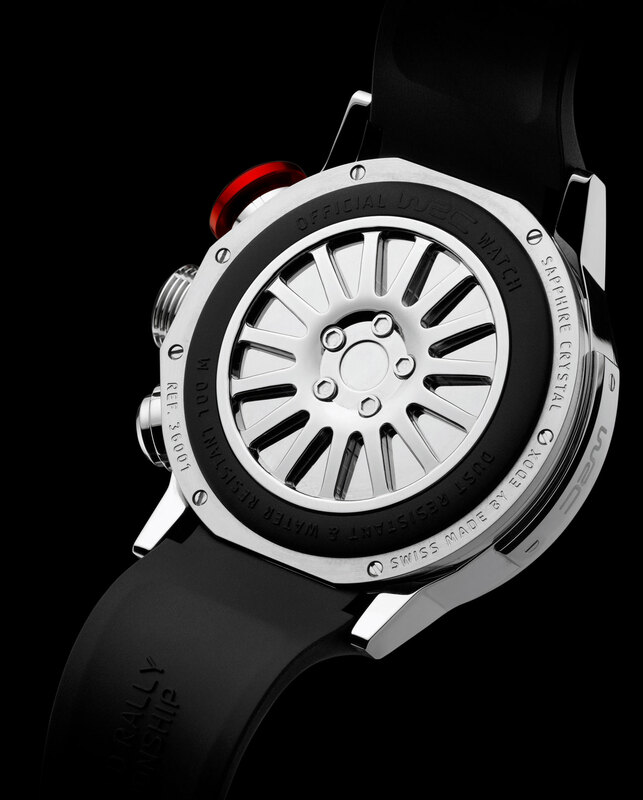 What rally driver has never dreamed of finally having a watch that would enable them to time their performance? Edox, a Jura watchmaking firm which celebrated its 125th anniversary in 2009, has now made this dream come true with a collection wholly dedicated to the World Rally Championship (WRC). Developed exclusively for Edox, the new 36 calibre is a true revolution in the worlds of watchmaking and cars. 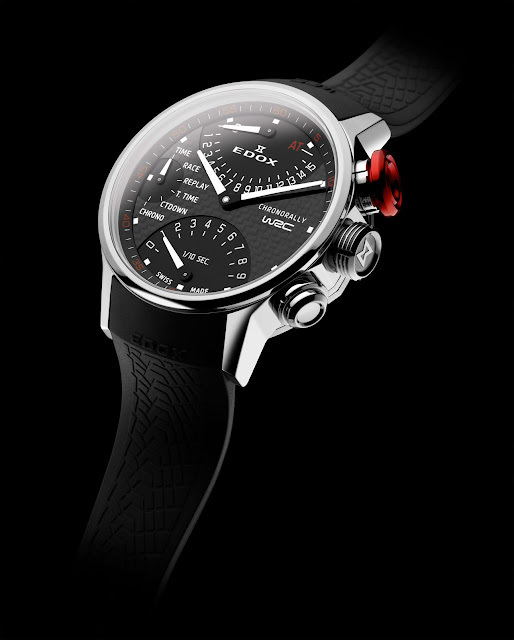 The new WRC Chronograph has many functions. In addition to the standard displays, the watch offers a plethora of new possibilities: stage timing with an accumulated stage time, recount/replay mode, countdown mode and chronograph. An instrument that is truly dedicated to the world’s best rally drivers and their co-drivers, the WRC Chronograph also boasts original car-theme details, with, for example, its raised caseback representing a wheel rim and its rubber wristband reproducing the contours of car tyres. Function hours, minutes, seconds, chronograph, countdown, stage timing, accumulated stage timing, replay. Movement size 36 mm 16"